From moving large specialty items or just needed muscle ... we've got your back! Experienced Manpower & Muscle You Can Depend On! When it comes to moving large items, the Go Moving team has your back! Moving large items requires skill, great care, planning and well … muscle. Our professional movers have the experience to deliver the manpower or muscle you need, from moving large specialty items to re-arranging furniture to clean-outs and junk removal. We Move Large Items like Piano’s, Pool Tables, Jacuzzi’s with ease! We make it look easy, because we have the experience, tools and training to move large items. 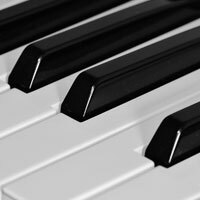 Pianos range in size and weight – from smaller uprights weighing 300 pounds, to elegant grand pianos weighing over 1,200 pounds. Our team of expert piano movers will go through the proper steps to ensure that your treasured piano safely arrives at your destination. Each piano is moved according to the unique design of the piano. Our professional movers will discuss the options with you and develop a plan for the best possible move of your cherished instrument. Pool Tables are also unique in how they must be handled during transit. 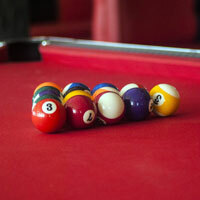 At Go Moving, we understand that moving a pool table is not like moving a couch. There are many more components to a pool table, and if not handled properly – breaking or warping is very possible. Our technicians have been properly trained at pool table moving and will carefully disassemble, wrap, move and reassemble your pool table. Satisfaction Guaranteed! Jacuzzi’s or Hot Tubs are difficult to move. Whether you are moving it to a new location or just want to get rid of it, Go Moving has the manpower and muscle to get the job done. Our experienced movers can get your hot tub out or in to tight spaces. Every job is a little different, depending on access, size and final destination of the hot tub itself. Give us a call today, toll free (800) 447-MOVE (6683), and we’ll be happy to discuss your specific moving needs. Large Furniture can also be difficult for the average person to move. 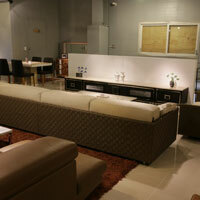 Modular, industrial and commercial furniture is often oddly shaped and very heavy. We have the large furniture movers who will disassemble (if needed), properly pack, load, unload and reassemble your large items. As with any of our services, Go Moving will provide a free quote to move your large furniture. Auto transport is another unique service provided by Go Moving. Whether you need a vehicle moved as part of relocation, or you have a broken-down vehicle which needs to be towed to a mechanic or scrapyard – Go Moving has the equipment and technicians to move your vehicle! 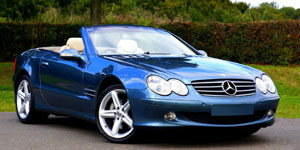 Go Moving’s auto transport can be accomplished in either an open or closed method, depending on your needs. Call us today or simply complete the online quote process in order to receive your free estimate! Click or Call – the choice is yours. Free online and phone quotes are based on either competitive hourly rates or a point system which includes the number of items to be moved, weight, size and distance. This allows Go Moving to provide an accurate quote, and it allows customers the ability to better manage the cost of moving.